Tell us about your working background and how you came to your current role as Online Picture Editor at NME. The truth is I never actually knew I wanted to be a Picture Editor. I always practiced photography but actually did most of my internships in music record labels and other similar companies. During that point in time I would photograph live music as a freelancer on the side. One day while working as an art-worker designing album covers, I was approached by a member of staff who needed some picture editing and research done, as I was a photographer I took the task on and found I really enjoyed the work! Afterwards I took on some freelance roles to build up my experience and then landed my first full time editing position at a company owned by Turner Broadcasting. Since I started I’ve also always worked on projects on the side that I’m passionate about or inspire me, which mainly include music. In fact I was meant to come on board at NME as a freelancer to cover the role for two weeks, but dug my heels in and have never left! Talk us through an average day on the NME picture desk. At this moment in time our picture desk at NME consists of 3 of us, and my days generally vary quite a bit! 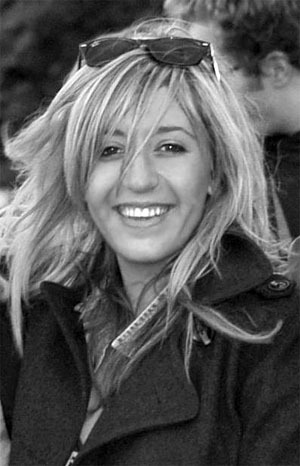 Although I’m the Picture Editor for NME Online, I also do quite a bit of work for the magazine. Generally in the office I will start the morning answering emails and making sure we have all the images we need for any news stories for online, I will also have to start planning and researching subjects we want to cover for any future online galleries. Gallery subjects vary greatly and can be anything from live show coverage to historical music archive imagery. For this kind of work you could be dealing with your own photographers, photographic agencies, musician’s press agents or going through old NME photo archives. During the day we will also be making sure that all the photographers are briefed properly if they have been commissioned to shoot something for us. Doing edits and choosing the images that are going into my assigned magazine pages and website content. During Festival season I will go and stay on-site and manage the photographers there, we have to make sure our coverage is rolling and up to date and are getting all the coverage we have planned. Daily I am also in charge of keeping the picture budgets of NME online, legal queries, general troubleshooting and management… The list goes on, we could be here forever! Is there a particular visual style that NME adheres to? In what way has photography been used to represent NME’s vision? NME is renowned for a history of iconic music photography, with a roster of some of the best music photographers around the standard of our imagery is outstanding. In terms of visual style NME’s live photography wants to capture the energy of live music. We love to see imagery that shows the action and atmosphere, that magical moment in the show where the energy is electric and the crowd is going wild! How do you keep connected with established and emerging photographic talent, what is the best way for photographers to get their work in front of you? During my career I’m continuously building up contacts and relationships with many different photographers I’ve worked with and respect. I also have a strong interest in promoting new and young talent that I find. As an editor, it’s hard to find all he time you want to go through every photographers website or portfolio you’re sent, but I do try my best! In terms of getting photographer’s work in front of me, you’re best bet is to send a polite email with easy links to a well edited portfolio. If we like what we see, we do set aside time to bring photographers into the office to have a chat and look through their portfolio properly. As a young photographer, getting work assisting a more experienced photographer is priceless. It will also give you great access the contacts you need and put your face in front of people that matter! 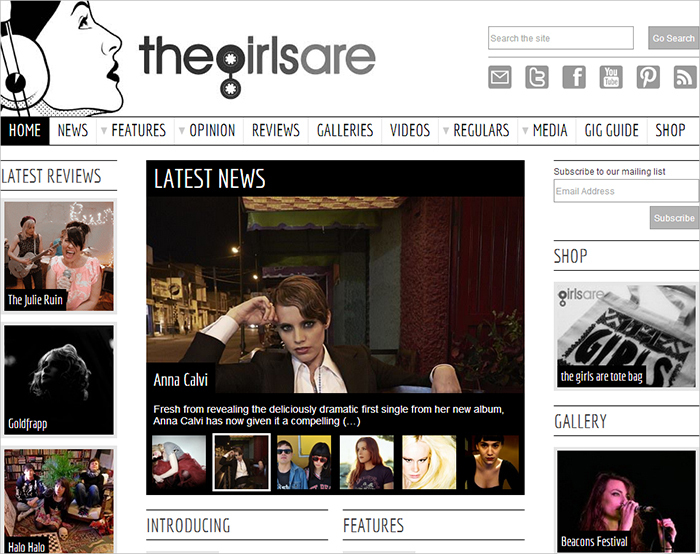 You also act as picture editor for Thegirlsare.com a website which champions music by female artists. How important is it for you to promote the talents of female artists not only in music, but in photography and other areas? I cannot stress how much passion I have for championing females in music and any other creative role including photography! As I said before, I do a lot of work on the side of my role at NME in aid of this. Although the world of music and photography are slowly getting better, it is still a very tough world for women in these roles. I meet so many talented young women every day, whether they are musicians, photographers or in any other creative roles that for some reason get overlooked in the industry. There are some really strong and talented women at the moment who are taking the creative industries on and I think it’s really important that we have role models for young women who are aspiring to do something like this. Picture editors are becoming far more socially active online. How important is it for you to maintain a strong online social presence, whether that be through Twitter, FB or your own blog? I think social media is very important this day and age, the world has changed dramatically due to social media. As an editor I think it has made my role a lot easier with having access to huge amounts of contacts and a gigantic platform to advertise your content. In fact, only yesterday I commissioned a photographer over Facebook! As an online editor the role of social media plays a huge part of my job, and I try to keep myself as involved as possible, both personally and for work. NME has a huge social media following and we use it to our advantage to drive readers into the site and to pick up a magazine. Where to start, I think I’m currently in the most perfect role for inspiring myself – My two biggest passions in life, music and photography is what I do for my day job. I can’t really ask for much more! I think that if you find and do something you really love it starts to feel less like work. Earlier this year I was working at Glastonbury festival and after 3 days of 16 hour shifts and a total of 6 hours sleep throughout those days, I woke up on the Sunday feeling very sorry for myself. As soon as I got back into the NME festival office I realized that I wouldn’t want to be anywhere else! You are working with a close group of friends who are all as passionate (and as tired) as you, and everyone helps you through it. To see the finished product at the end makes it all worth it! 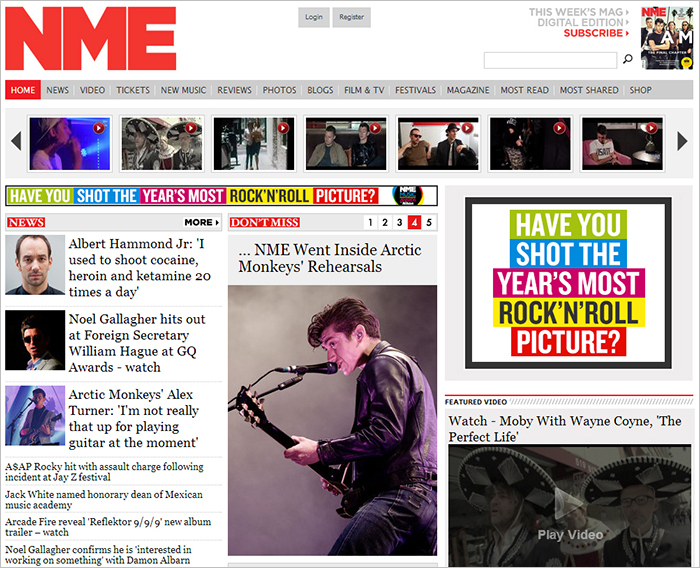 In what ways does NME Online differ from the print edition? How does the online edition enhance the reader’s experience? 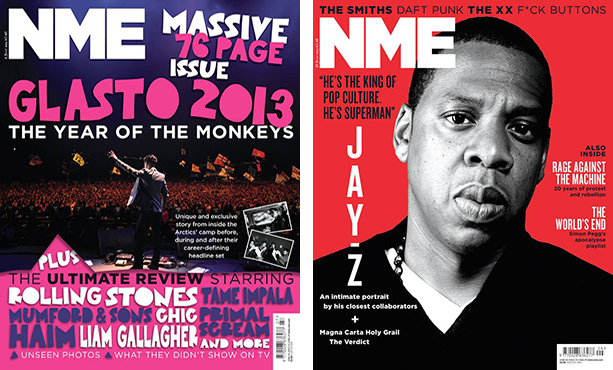 NME online differs hugely from the print edition; in fact our content is never the same as the magazine. Obviously we tie in with themes from the issue, so if there is a large feature on a certain band we will do different coverage of the same band. NME Online brings content and news instantaneously. We continuously strive to make sure our coverage of events is as up to date as possible. The website enhances a readers experience by adding extra content to what you will find in the magazine along with completely exclusive news, blogs and galleries! As a music fan, I think it is probably one of the best music websites in the world. I read a lot of them, but I may be a little biased too! We use the same great team of photographers for both the magazine and the website, so visually the website is also amazing. As a photographer yourself, how important do you feel it is to understand the industry from the perspectives of image maker and editor, tell us how they inform each other? It’s very important to understand the perspectives of the photographer. As an editor we wouldn’t be able to do our jobs very well if we didn’t. It’s one thing to be able to pick out a great picture, but it’s another to be able to understand a certain photographers ability and style. To be a good editor you need to understand these perspectives, as it would be very hard to brief a photographer on what to do, if you yourself don’t understand what they would need to do to achieve that goal, on the other hand to be a great editorial photographer you need to be able to understand the perspectives of editors. A photographer that can’t understand or adhere to a brief, will make life very hard for me. In this industry the best relationships come from understanding and respect from both parties. What has been your most rewarding experience working for NME? I have so many experiences that have been very rewarding and I’ve even fulfilled some childhood dreams! Getting to work behind the scenes on things like Glastonbury and other amazing music festivals and meeting musicians you have been a fan of since you were a child are all very fulfilling. Also watching young talented photographers nurtured so they grow and become amazing, established artists is also an amazing thing to be a part of. There are so many fulfilling experiences I don’t know which to pick! This entry was posted in Editorial on September 5, 2013 by admin.